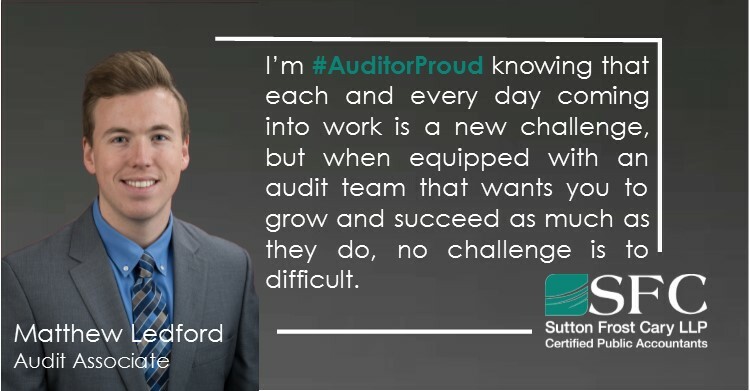 September 27, 2018 Arlington, Texas – Sutton Frost Cary LLP (SFC) is proud to participate in The Center for Audit Quality’s (CAQ) fourth annual social media day on September 27, 2018. 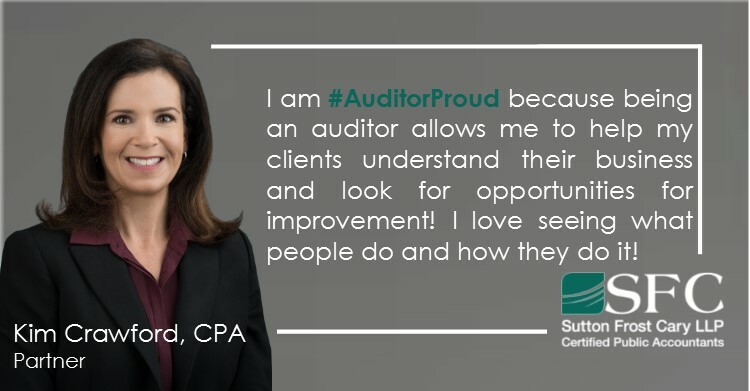 SFC is joining other accounting firms and the CAQ’s partners, including university groups and high school organizations, to show why they’re #AuditorProud on social media. 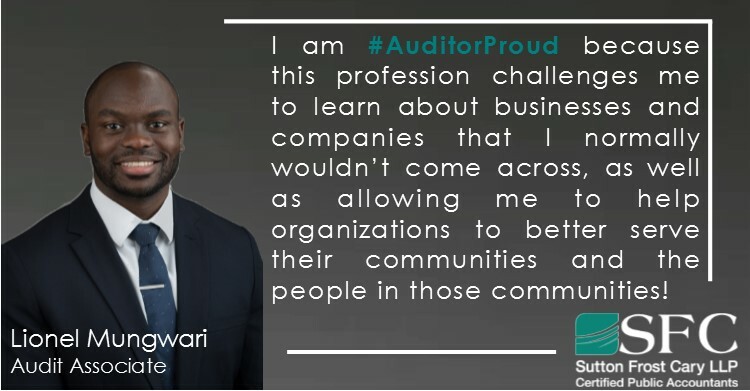 The campaign celebrates the audit profession and encourages students and others to learn more about the world of opportunity a career in audit can offer by sharing messages, stories and posts on all social media platforms. 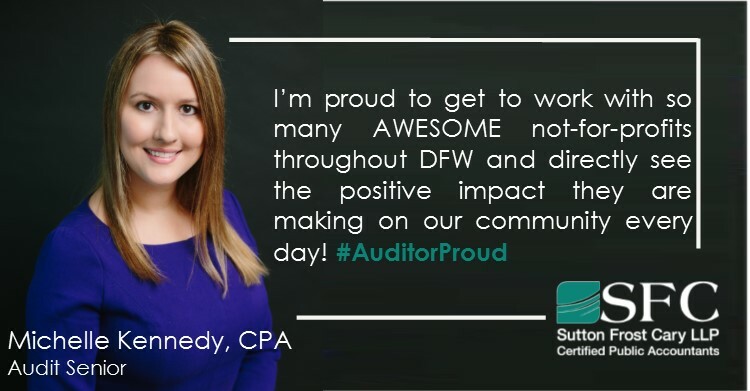 SFC is a full-service CPA firm that has been serving the DFW area for more than 25 years through offices in Arlington and Fort Worth. The firm works with privately and publicly held businesses in construction, manufacturing, insurance, distribution and technology industries, as well as nonprofit organizations and employee benefit plans. 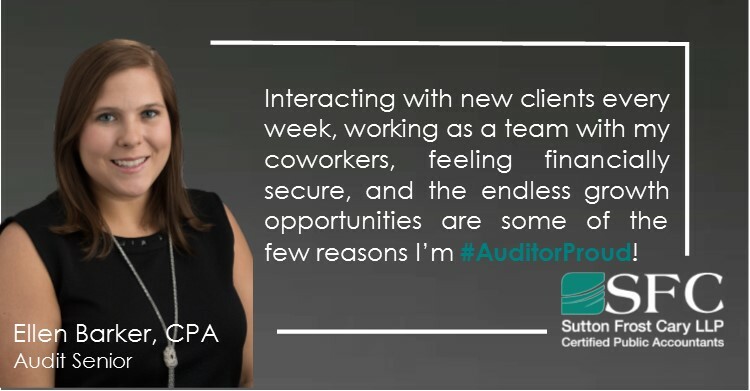 SFC is an independent member of the BDO Alliance USA, a nationwide association of independently owned local and regional accounting, consulting and service firms with similar client service goals.